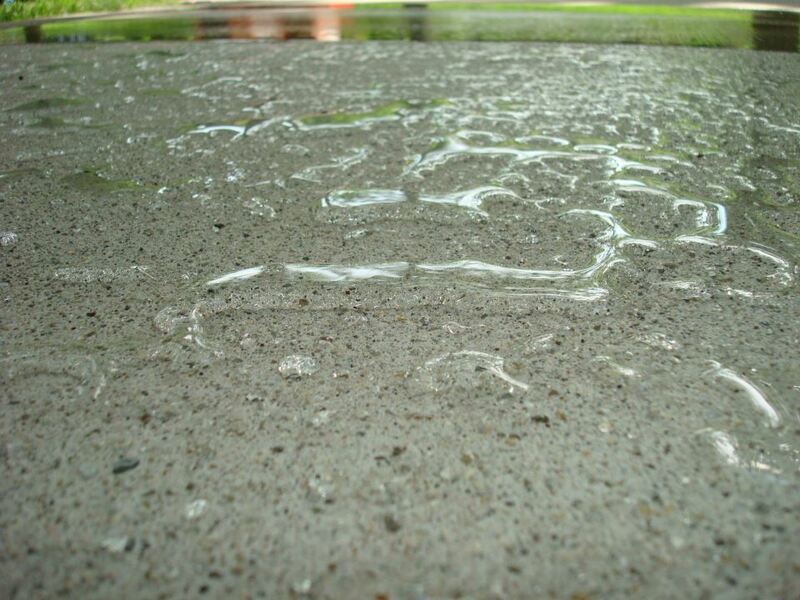 Artistic Concrete Design seals your concrete with The Concrete Protector’s Hydrophobic Penetrating Sealer to protect it from all types of common hazards. Unsealed concrete is like a giant sponge; it absorbs water, harsh chemicals, de-icers, and more, all of which damage your concrete. Concrete Protector’s Hydrophobic Penetrating Sealer is trusted to protect the Oldest Concrete Street in America! Your concrete goes through a lot all year. Rain in the spring, summer, and fall and other chemicals (including de-icers and road salts) in the winter, your concrete is exposed to all kinds of threats on a regular basis. 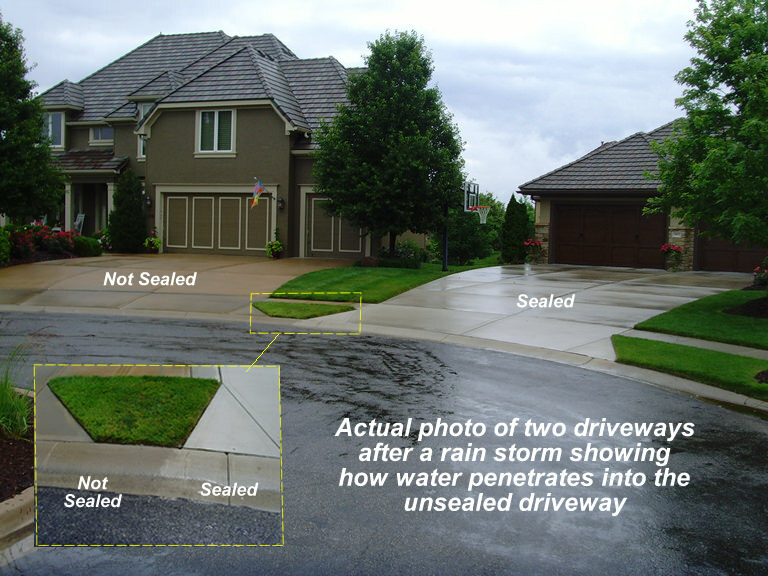 In these conditions, unsealed concrete will inevitably start to pit, pop, crack, and flake. The Concrete Protector’s Hydrophobic Penetrating Sealer works by penetrating into the pores of the concrete, then creates a protective barrier. Economical, environmentally friendly, and doesn’t change the texture or color of the concrete. 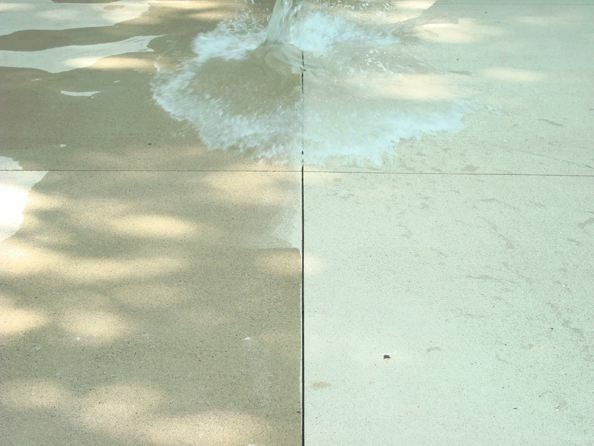 With our Clean and Seal service, we’ll protect and seal your concrete for years to come. Call today for a free estimate on concrete sealing!